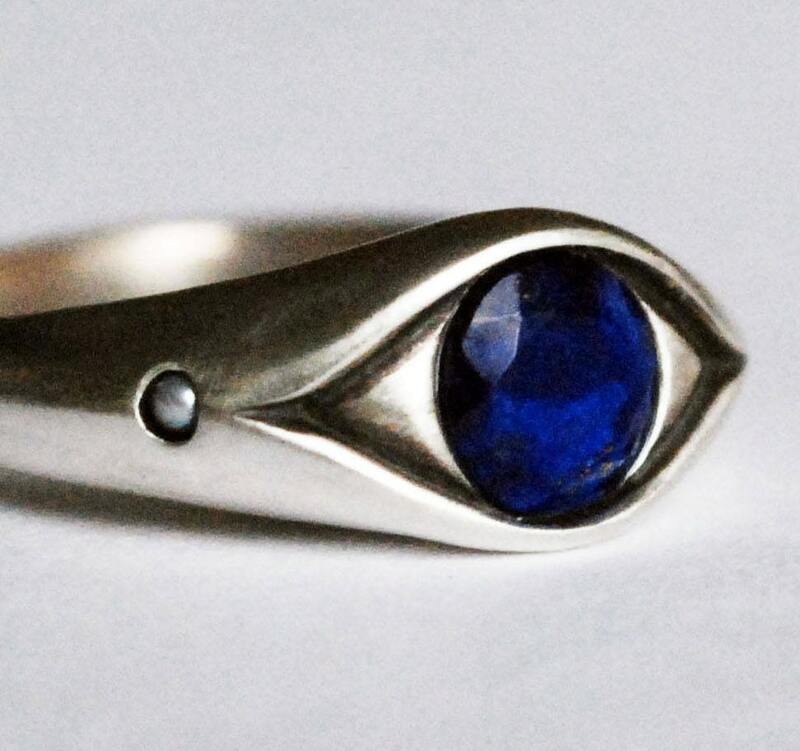 CUSTOM for Sam Alexander-Sterling Silver, Lapis Lazuli and Pearl Eye Ring . Custom, Sterling Silver, US size 11, Lapis and pearl magical eye ring for Sam Alexander.. The focal point of this ring is a beautiful 6mm faceted deep blue Lapis Lazuli, with two 1.5 mm tiny white cultured pearls set as accents on either side. The silver will be buffed and burnished to a satin finish. This ring should be handled with some care. Lapis Lazuli and pearls are delicate and can chip and break if handled roughly or dropped. Please note that Lapis coloration varies somewhat stone to stone. Please also note that these Lapis stones have some pyrite veining.